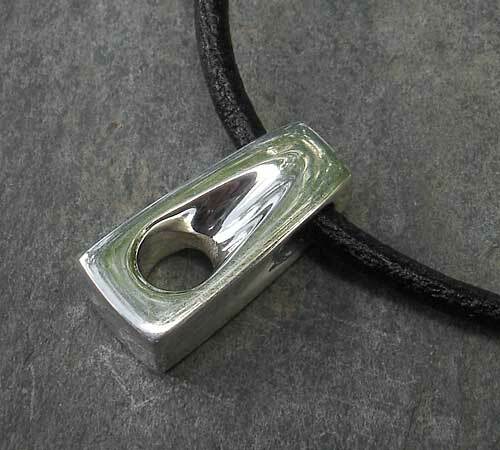 Men's Handmade Silver Pendant : LOVE2HAVE in the UK! 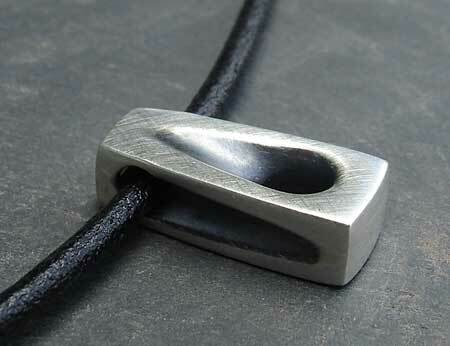 A men's handmade solid silver pendant in a modern contemporary style. This necklace has a lovely smooth curving and softening to its stylish shaping. It features a smoothed tear drop recessed hole and is quite chunky. 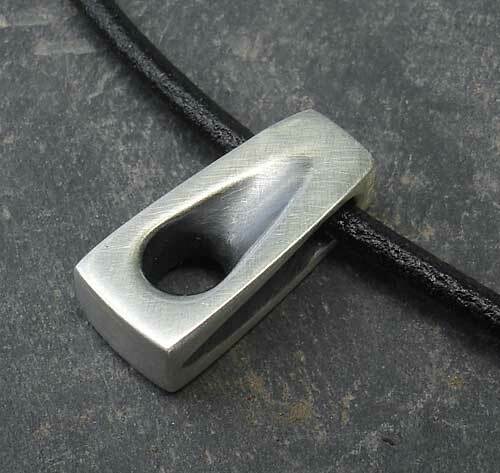 The silver pendant measures approximately 18mm x 7mm x 5mm with an 18-inch black leather necklace. We have the oxidised finish version featured here. 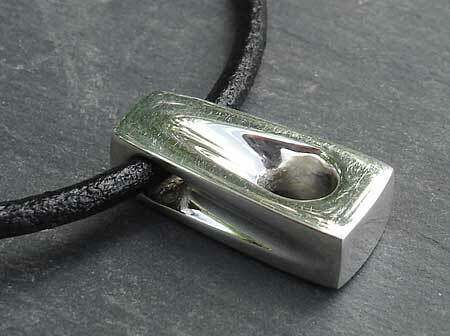 A great men's pendant handmade here in the UK. Polished and larger versions are also available. PLEASE CONTACT US FIRST IF YOU INTEND TO PURCHASE THIS PENDANT AS SOMETIMES THEY ARE NOT ALWAYS AVAILABLE. Finish(es) Available: Matt or polished.